Text Analysis, NLP, Sentiment Analysis. Within each group of applications, the list is in alphabetical order. API overview is based on information as it has appeared on its URL as of 16-April-2018. Check out where these APIs are put into use! If we missed some popular active API, please suggest them in the comments below. Animetrics Face Recognition: can be used to detect human faces in pictures and match them against a set of known faces. The API can also add or remove a subject from a searchable gallery, and add or remove a face from a subject. Betaface: Facial recognition and detection web service. Features include multiple faces detection, faces cropping, 123 face points detection (22 basic, 101 advanced), faces verification, identification, similarity search in very large databases. Eyedea Recognition: Focusing on high-end computer vision solutions, primarily on object detection and object recognition software. a recognition service that offers eye, face, vehicle, copyright and plate detection. The main value of the API could be to have access to an instant understanding about objects, users, and behaviors. Face++: Facial recognition and detection service that provides detection, recognition and analysis for use in applications. Users can make calls to train the program, detect faces, recognize faces, group faces, manipulate people, create face sets, create groups, and get info. FaceMark: An API capable of detecting 68 points on a frontal face photograph, and 35 for a profile face photograph. FaceRect: A powerful and completely free API for face detection. The API finds faces (both frontal and profile) or multiple faces on a single photo, producing JSON output for each face found. Additionally, FaceRect can find face features for each detected face (eyes, nose and mouth). Google Cloud Vision API: Powered by platforms like TensorFlow, have enabled models that can learn and predict the content of an image. It helps you find your favorite image, and get rich annotations of it quickly and at scale. It classifies images into thousands of categories (e.g., "boat", "lion", "Eiffel Tower"), detects faces with associated emotions, and recognizes printed words in many languages. IBM Watson Visual Recognition: Understands the contents of images - visual concepts tag the image, find human faces, approximate age and gender, and find similar images in a collection. You can also train the service by creating your own custom concepts. Imagga: Offers APIs that automatically assign tags to your images makes your images findable. It is based on an image recognition Platform-as-a-Service. Kairos: Provides state-of-the-art, ethical Face Recognition to developers and businesses worldwide. Microsoft Cognitive Service - Computer Vision: The cloud-based API can analyze visual content in different ways based on inputs and user choices. For example, tag images based on content; categorize images; detect human faces and return their coordinates; recognize domain-specific content; generate descriptions of the content; identify text found in images; flag adult content. ParallelDots Visual Analytics APIs provide unique offerings to help you automatically label images, filter inappropriate content, find virality score of any photo or identify emotions from facial expressions in portrait images. Skybiometry Face Detection and Recognition: Provides a face detection and recognition service. The new version of the API includes differentiating dark glasses from clear ones. Bitext: Provides the most accurate semantic services in the market, including Entity & Phrase Extraction, Sentiment Analysis, Text Categorization, Lemmatization, POS Tagging, Language Identification and other bot enhancing services in 50+ languages. Diffbot Analyze: Provides developers tools that can identify, analyze, and extract the main content and sections from any web page. Free Natural Language Processing Service: Is a free service including sentiment analysis, content extraction, and language detection. This is a popular Data API at mashape.com, a large cloud API marketplace. Google Cloud Natural Language API: Analyzes the structure and meaning of text, including sentiment analysis, entity recognition, and text annotations. Watson Natural Language Understanding: Analyzes text to extract meta-data from content such as concepts, entities, keywords, categories, relations and semantic roles. MeaningCloud Text Classification: The API performs pre-classification tasks like: extracting text, tokenization, stopword removal and lemmatisation. Microsoft Cognitive Service - Text Analytics: Detect sentiment, key phrases, topics, and language from your text. Other APIs in the same group (cognitive services for language) with this API include Bing Spell Check; Language Understanding; Linguistic Analysis; Web Language Model. nlpTools: a simple JSON over HTTP RESTful web service for natural language processing. It decodes online news media for sentiment analysis and textual classification. Geneea: Can perform analysis (Natural Language Processing) on the supplied raw text, on the text extracted from the given URL, or from the directly provided document. ParallelDots Text Analytics APIs provide convenient and diverse set of Natural Language Understanding (NLU) algorithms in fourteen different languages to find sentiment or emotion of any document, find prominent entities in them or remove expletives from them. ParallelDots Custom Classifier also lets you build text classifier on your own categories without any training data. Thomson Reuters Open Calais™: Using natural language processing, machine learning and other methods, Calais categorizes and links your document with entities (people, places, organizations, etc. ), facts (person "x" works for company "y"), and events (person "z" was appointed chairman of company "y" on date "x"). Yactraq Speech2Topics, a cloud service that converts audio visual content into topic metadata via speech recognition & natural language processing. Google Cloud Translation: Can dynamically translate text between thousands of language pairs. The API lets websites and programs integrate with the translation service programmatically. Google Cloud SPEECH-TO-TEXT: Enables developers to convert audio to text by applying powerful neural network models in an easy to use API. The API recognizes 120 languages and variants, to support your global user base. IBM Watson Language Translator: Translates text from one language to another. The service offers multiple domain-specific models that you can customize based on your unique terminology and language. For example, customers can be communicated with in their own language. MotaWord: Is a fast human translation platform. It provides translations in over 70 languages. The API also lets developers get quotes for each translation, submit translation projects along with documents and style guides, track the progress of translation project and get activity feeds in real time. WritePath Translation: API allows developers to access and integrate the functionality of WritePath with other applications. Operations can be done with this API: retrieving word counts, posting documents for translations, and retrieving translated documents and text. Houndify: Integrate voice and conversational intelligence into your products through an independent platform that is always learning. IBM Watson Conversation: Build Chabot’s that understand natural language and deploy them on messaging platforms and websites, on any device. Other APIs in the same group (cognitive services for language) with this API include Dialog; Natural Language Classifier; Personality Insights; Document Conversion; and Tone Analyzer. IBM Watson Speech : Include Speech to Textand Text to Speech (e.g., to transcribe calls in a contact centre or to create voice-controlled applications). Amazon Machine Learning: To find patterns in data. Example uses of this API are applications for fraud detection, forecasting demand, targeted marketing, and click prediction. BigML: Offers a service for cloud-hosted machine learning and data analysis. Users can set up a data source and create a model to predict using basic supervised and unsupervised machine learning tasks via standard HTTP. Google Cloud Prediction: Provides a RESTful API to build machine learning models. 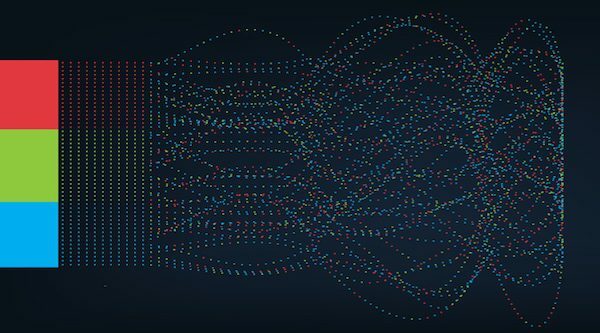 These tools can help analyze your data to add various features to your applications, such as customer sentiment analysis, spam detection, recommendation systems, and more. co: Provides product recommendation engines for e-commerce websites. Guesswork predicts customer intent accurately using a semantic rules engine that runs on top of the Google Prediction API. Hu:toma:Helps developers around the world build and monetize deep learning Chabot’s by providing free access to a proprietary platform offering both the tools and the channels to create and share conversational AIs. IBM Watson Retrieve and Rank: Developers can load their data into the service, use known relevant results to train a machine learning model (Rank). Service output includes a list of relevant documents and metadata. For example, a contact centre agent can also quickly find answers to improve average call handle times. indico: Provides text analysis (e.g., sentiment analysis, twitter engagement, emotion) and image analysis (e.g., facial emotion, facial localization). The indico API is free to use, and no training data is required. Microsoft Azure Cognitive Service API: Is replacing The Azure Machine Learning Recommendations service that provides solutions based on predictive analysis. It provides personalized product recommendations for customers and improve sales. The new version has new capabilities like batching support, a better API Explorer, a cleaner API surface, more consistent signup/billing experience, etc. Microsoft Azure Anomaly Detection API: Detects anomalies in time series data with numerical values that are uniformly spaced in time. For example, when monitoring memory usage in computing an upward trend may be of interest as it may be indicative of a memory leak. Microsoft Cognitive Service - QnA Maker: Distil information into conversational, easy-to-navigate answers. Other APIs in the same group (cognitive services for knowledge) with this API include Academic Knowledge, Entity Linking, Knowledge Exploration, Recommendations. Microsoft Cognitive Service - Speaker Recognition: Give your app the ability to know who's talking. Other APIs in the same group (cognitive services for speech) with this API include Bing Speech(convert speech to text and back again, and understand its intent) and Custom Recognition. MLJAR:Provides a service for prototyping, development and deploying pattern recognition algorithms. NuPIC: Is an open source project written in Python / C++ that implements Numenta's Cortical Learning Algorithm and is maintained by the NuPIC Community. The API allows developers to work with the raw algorithms, string together multiple regions (including hierarchies), and utilize other platform functions. PredicSis: Is for Big Data powerful insights and improves a marketing performance through predictive analytics. PredictionIO: Is an open source Machine Learning Server built on top of Apache Spark, HBase and Spray released under Apache 2.0 license. Example API methods include creating and managing users and user records, retrieving items and content, and creating and managing recommendations based on the user. RxNLP - Cluster Sentences and Short Texts: Text Mining and Natural Language Processing service. One of their API's, The Cluster Sentences API, can group sentences (such as sentences from multiple news articles) or short texts (such as posts from Twitter or Facebook Status Updates) into logical groups. Recombee: Provides a service that uses data mining, query language, and machine learning algorithms (e.g., collaborative filtering and content-based recommendation) through RESTful API. Did we miss your favorite API? We will keep updating the list! Are High Level APIs Dumbing Down Machine Learning?